Karan Johar's latest production KALANK is the most anticipated Bollywood film of the year and brings together a star-studded cast including Varun Dhawan, Alia Bhatt, Madhuri Dixit, Sanjay Dutt, and Sonakshi Sinha. This critically acclaimed epic event movie opens early for the Easter holiday weekend with special premiere shows starting Wednesday, April 17, at theaters everywhere. Tickets available now. 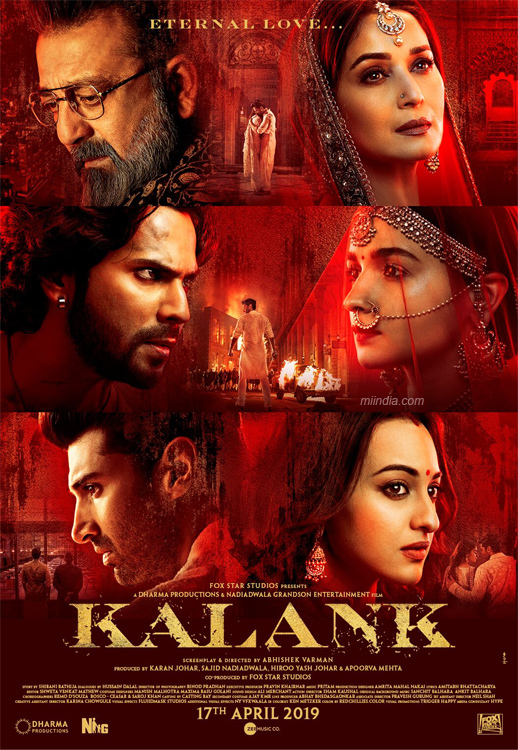 Do not miss out on KALANK!"